A nice sunny morning. I did a run followed by two hours of sauna and relax. I had my phone with me so I could inform Romana about my expected time of arrival at the sauna. This enabled me to take a few pictures. 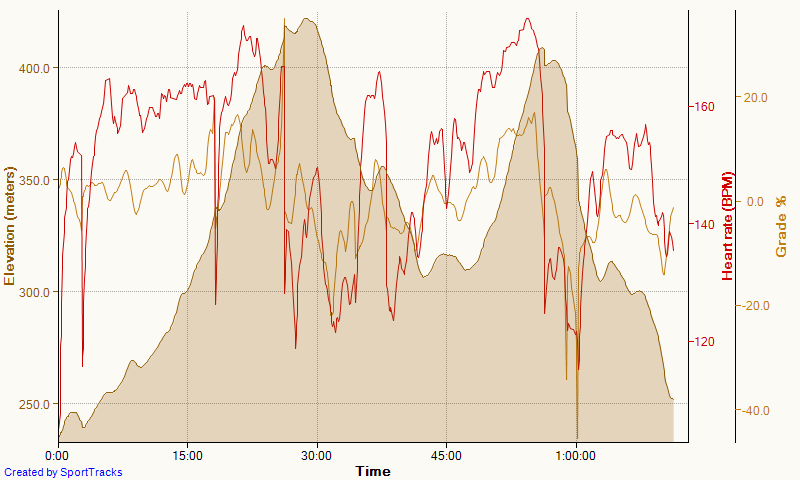 It was supposed to be a calm run but in the climbs my heart rate did go up quite a bit. First time I took this route. I like to explore the trails around my house, and sometimes I do regret that I don’t run more and row less. Here is the start of the run. 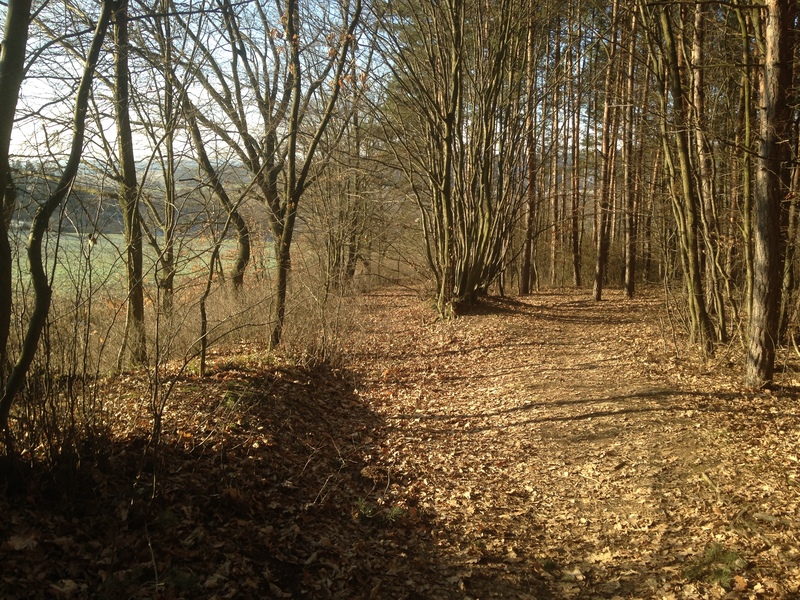 This is 5 minutes from my house, leaving Brno town through a mix of car dealers, hypermarkets, and other places of low interest. 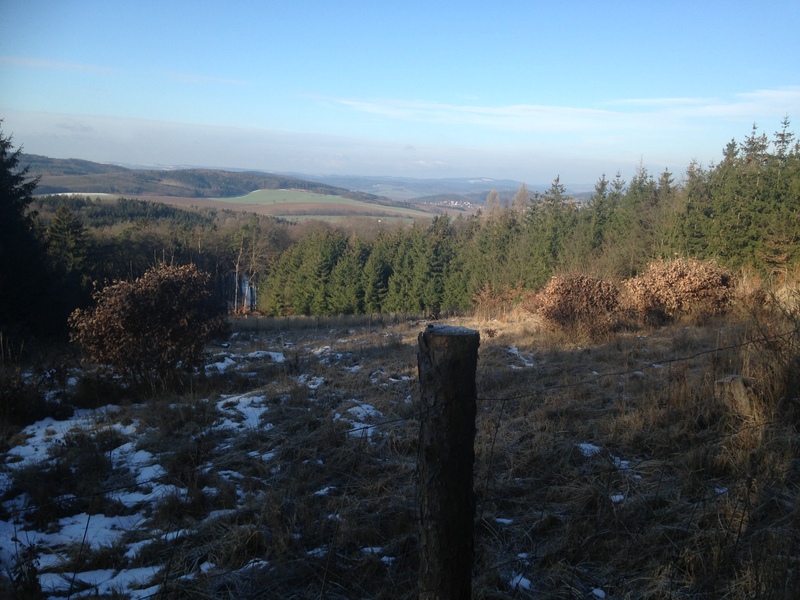 To the right of this are the hills towards Oresin and Utechov, my usual running playground, but today I would take on those hills in the background, nature park Velka Baba. 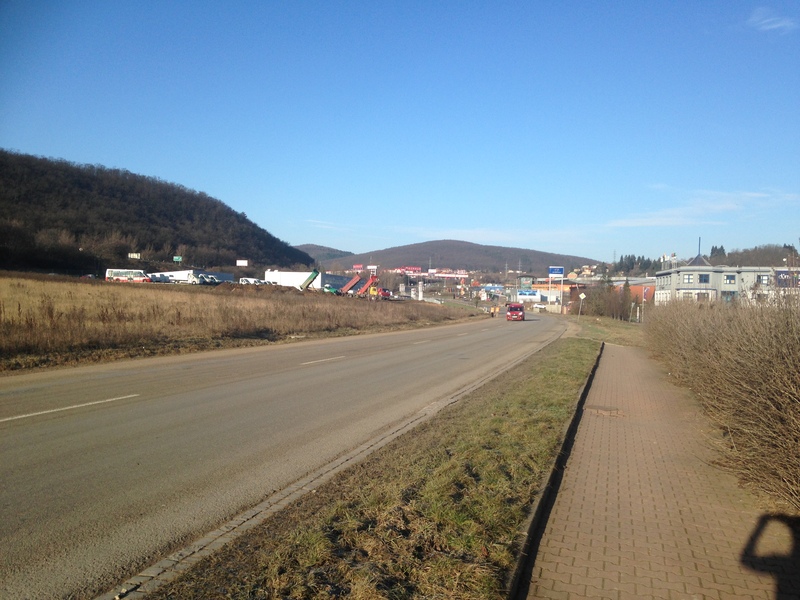 After the village of Ivanovice, infamous for the Harok family murder, which led to the first case of a US citizen, the prime suspect, being extradited to the Czech Republic. Not good. I had to slow down and run on the edge of the path. 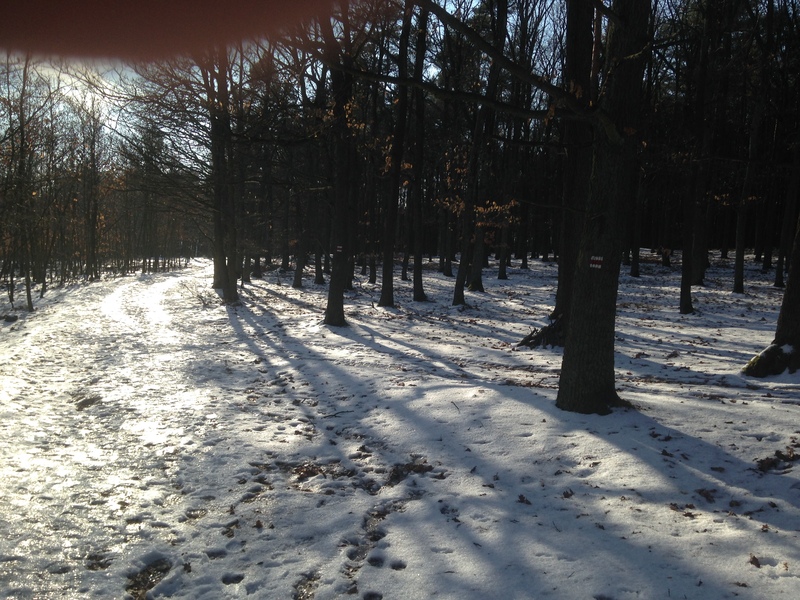 I descended into the village of Jinacovice, first through an area where forest workers had been working with heavy equipment, so the trail was turned into something that looked like a frozen training facility for tanks. Going downhill, I had to slow down a lot. That is ice that you see, not snow. It was a really slow run. I covered the 12km in 80 minutes. The stops to take pictures may have slowed me down by about five minutes, but the real difficulty was the ice. Still, I don’t regret it. 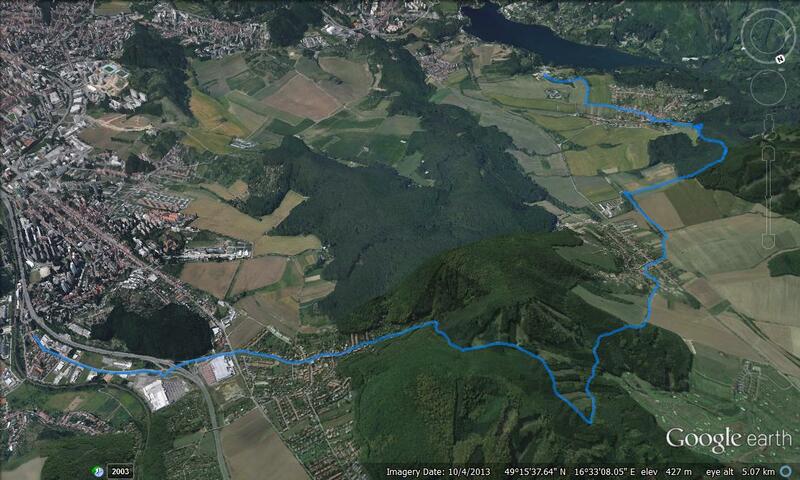 It was a very nice outing with a variety of forests and fields, a different trail every few kilometers. Will repeat this run. After that it was two hours of taking saunas and relaxing in front of the fireplace in Maximus Resort. Splendid. Now I am very lazy. There are some chores I should be doing but the chair is just too comfy. It’s the end of a high volume week. I did 10 minutes of exercise less than planned. Still a good score.